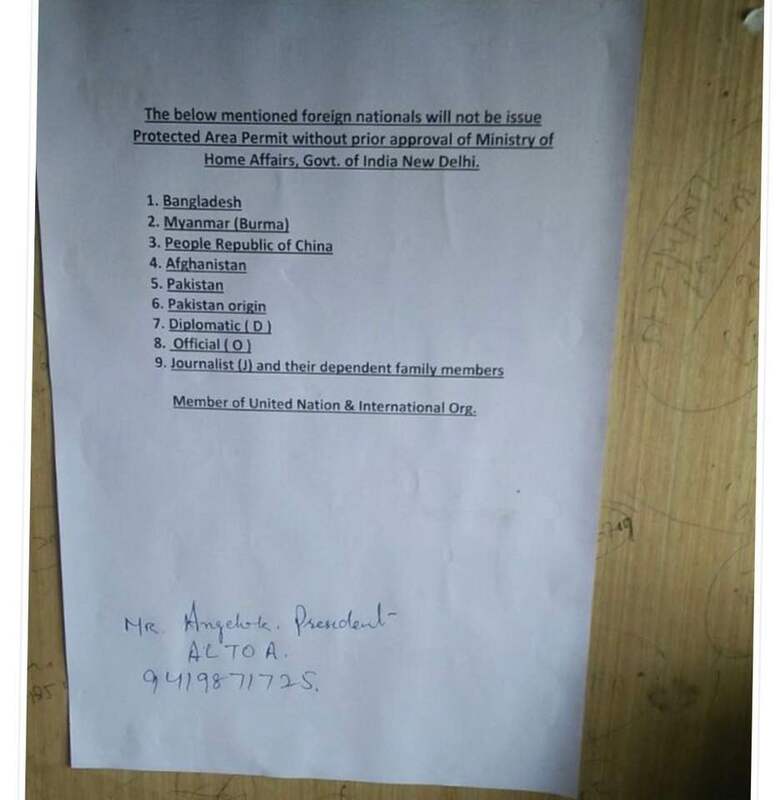 In a recent order, citizens of Bangladesh will need the permit for Ladakh trip to be arranged from Ministry of Home Affairs, New Delhi, India. Earlier Bangladesh citizens were allowed to get protected area permit from Leh DC office itself but starting April 2018, this has been changed. All those who are planning their trips now should consider getting the permit from MHA. Rest, all foreign nationals, NRIs having PIOs or OCIs still need Protected Area Permit (PAP) or Restricted Area Permit (RAP) to visit Inner Line areas of Ladakh including Pangong Tso, Nubra Valley, Khardung La, Tso Moriri, Turtuk, Dah Hanu Villages. Some places have been recently opened for foreigners which includes Man, Merak villages near Pangong Tso, Loma bend from where the diversion to Hanle goes (but Hanle is still restricted for a visit by a foreigner), Pachathang & Tyakshi villages in Nubra Valley near Turtuk have also opened. Some routes in the Kargil / Batalik sectors have also been opened for foreigners which include Kargil to Leh via Khangral – Shaker – Chiktan and Dah to Kargil along Darchik – Batalik – Slimo. There is no need for any permit in order to visit Suru and Zanskar Valley, south of Kargil. Could you please tell me that, how can we (Bangladeshi) take permit from Ministry of Home Affairs, I mean the procedure and how many days require to get the permission, and any document need to take permission or as like before just Passport…..
You will have to apply to the Indian mission / consulate in Bangladesh is what I guess, and they will, in turn, refer it to MHA for clearance. I am From Bangladesh. Bangladeshi Is Allow For Stok Kangri Trek , Ladakh? please send Me How I get Permission ? I want to join with you This year. The forum ‘Travel News & Updates’ is closed to new topics and replies.